Why islands are ideal for holidaying? 5 most beautiful islands: Have the big cities such as Mumbai, New York, Paris, Rome, and Barcelona has taken a back seat when it comes to the most visited vacation destinations in the world? I have to come to that conclusion because of the increasing popularity of beautiful islands around the world that are visited by a large number of tourists. As the popularity and traffic of exotic islands increase, more new islands are included in the itinerary of cruise tour packages by the big and small cruise ship companies. Tourists show an unprecedented surge to see even very remote and uninhabited islands. Stunning beaches that are much less crowded than the highly visited city beaches as Miami or Juhu, or Marina. Some of the islands such as the Andaman and Nicobar offer more than 6 different water adventure activities. Kite Surfing as an example of a water sport that is not available in every major island. The seafood is always fresh and varied. For example, you can taste even fried conch in some islands. The ocean view always is breathtaking than any other view such as colorfully lit city roads. The resorts and hotels offer rooms with uninterrupted sea views. The staying options in islands cannot match any other type of lodging facilities. How about staying in overwater villas or even staying in underwater rooms? These types of unheard of lodging facilities are possible only in islands. 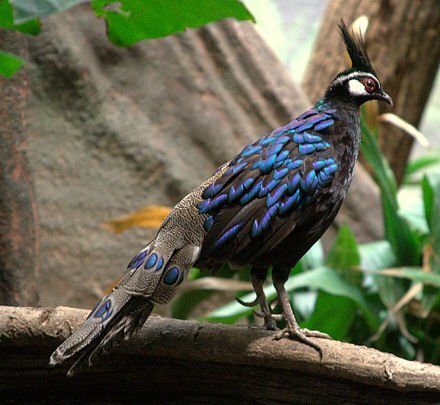 The wildlife, especially the avifauna in islands can engage a tourist for hours together. Every big island is usually surrounded by several small islands, islets, and atolls. Island hopping in different kinds of vessels such as dinghies (https://upload.wikimedia.org/wikipedia/commons/4/44/Oliver_Dinghy_Boat_Yacht_Tender-_Oliverboat.jpg ), speedboats, sail yachts, and water taxis is a wonderful opportunity if you choose to visit popular and beautiful islands for your holiday. Oceanfront cottages are excellent places for star gazing. I guess you have just changed your upcoming holiday plan to Switzerland and contemplating to go to an enchanting archipelago of islands in South Pacific. Here are 5 most visited islands in the world by honeymooners and families. The Andaman and Nicobar Islands comprise of nearly 300 islands, many of which are uninhabited making this archipelago all the more attractive among island lovers who are excited more to visit the uninhabited islands than the inhabited and civilized islands. These tropical islands are rich in biodiversity. Mountains, volcanoes, lush green rainforests, coral reefs, exotic marine life, and mangroves are all the trademark of Andaman and Nicobar Islands. The entire archipelago comprises a whopping 8,250 sq.km! I have never known more water sports activities than the Andamans. There are as many as 10 water adventure activities in the Andaman Islands and a few of the water-based sports are good for non-swimmers also. Sea walking is one such activity in North Bay Island and Ross Island in the Andamans that even non-swimmers can indulge in. As you can see from the video above, there is no swimming involved in sea walking. You just have to wear an oxygen tank and face mask that become weightless when you enter the water. Sea walking can be an adventure of your lifetime. Feeling yourself face to face with those exotic marine lives in their own home (water) is extremely thrilling. If you are above 7 and below 70 years of age, you can walk on the sea bed. Islands on the Mediterranean Sea are very beautiful and they are thronged by the locals and the tourists all through the year. When it comes to the islands on the Mediterranean and the Aegean Sea, the first group of islands that come to my mind is the Greek Islands. Greek Islands are a mixture of both ancient and modern culture. The ancient Greek culture and mythology are still the greatest attractors for many of us. Among all the Greek islands that number to 6000, several islands are highly popular that include Mykonos and Crete. 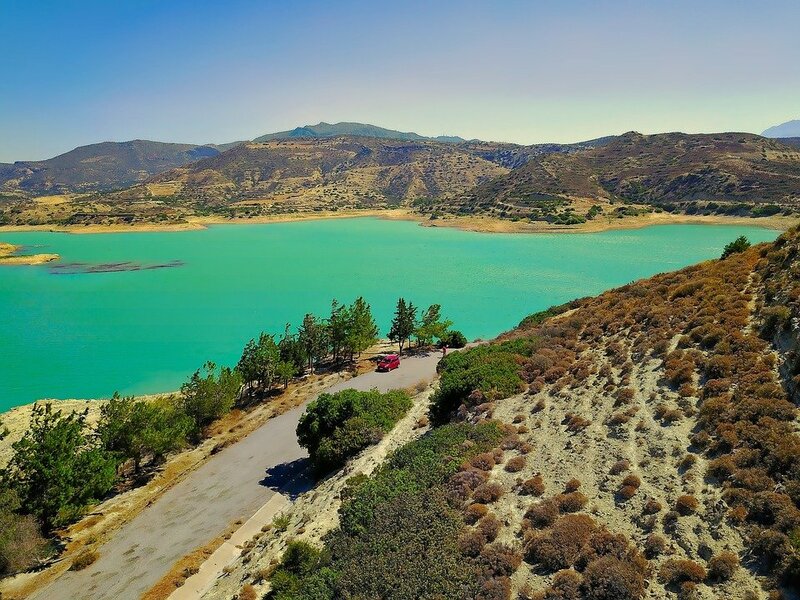 Crete is a very big island and is the largest of the Greek Islands with a very rich history and exotic sightseeing places. Apart from the places to see, the Greek food is another big attraction to those who want to sail to as many Greek Islands as possible and to achieve that wish, they invariably join a flotilla vacation where a group of several yachts sail on a pre-determined cruise route. Shopping for the antiques in several of the narrow shopping lanes in Crete is another attraction to tourists. Its local name is “kri-kri”. Very amusing name-eh? 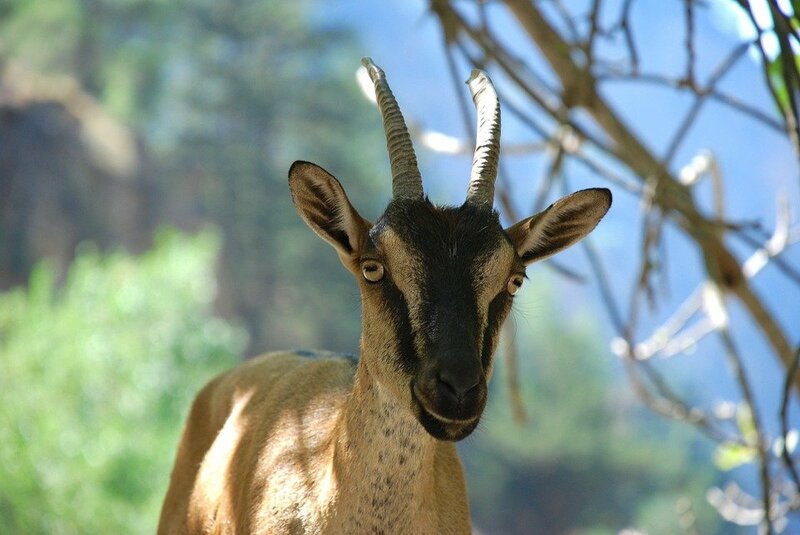 Another interesting information about this Cretan wild goat is, it is endemic to Crete Island. Borneo is an island and it doesn’t belong to any one single nation. Yes, can you believe that? An island that is shared by more than one country is unique. Borneo Island is located Malay archipelago. Another unique geographical information about the Borneo Island is, it is surrounded by as many as 4 different seas! I think except the South China Sea, the other three seas are new to you right? The tropical rainforests of Borneo are home to the endangered Orangutans. Another must-see wild animal in Borneo is the clouded leopards. Places to see in Borneo Island. Mount Kinabalu whose peak stands at over 13,000 feet! 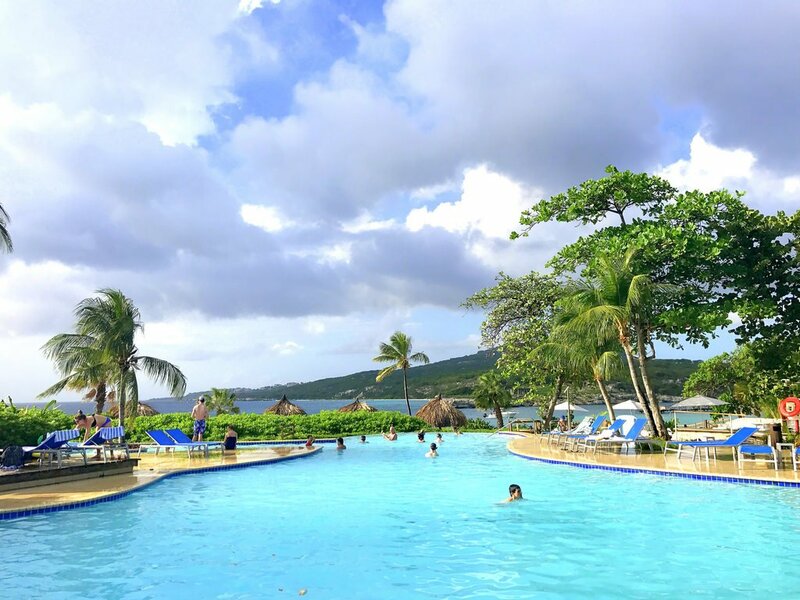 Ah, a typical Caribbean Island, the small beach, the trees on the shore, hotels and houses abutting the beach and the sunny atmosphere speak clearly that this is the land of the Caribbean. The picture must have been taken very early in the morning because there’s hardly any tourist enjoying the beach. When compared to other popular Caribbean islands, Grenada is less crowded and more colorful. Grenada is mostly visited for its sunny beaches, forest walks, bathing in hidden gems of waterfalls, and eating spicy Caribbean fish and crabs. Of course, you can drink gallons of Caribbean beer. Everybody does that in Grenada and other Caribbean islands. Basically a stew of breadfruit, it also contains fish, chicken, and coconut milk. Oil Down is Grenada’s national dish. One of the beaches in Bohol called Alona Beach. Do you have any idea how many islands are in the Philippines? It has over 7,600 islands! You know it is very difficult to choose one island in the Philippines as the best. Bohol Island has been getting on the news and posts by leading travel blogs of late and that inspired me to cover this Philippines Island as one of the most beautiful islands for holidaying. Bohol Island is not a single island province of the Philippines. It comprises 75 smaller islands and thus making it as an ideal center to go on a spree of island hopping. A natural formation of just ordinary hills that are covered by a type of grass that turns into chocolate color. 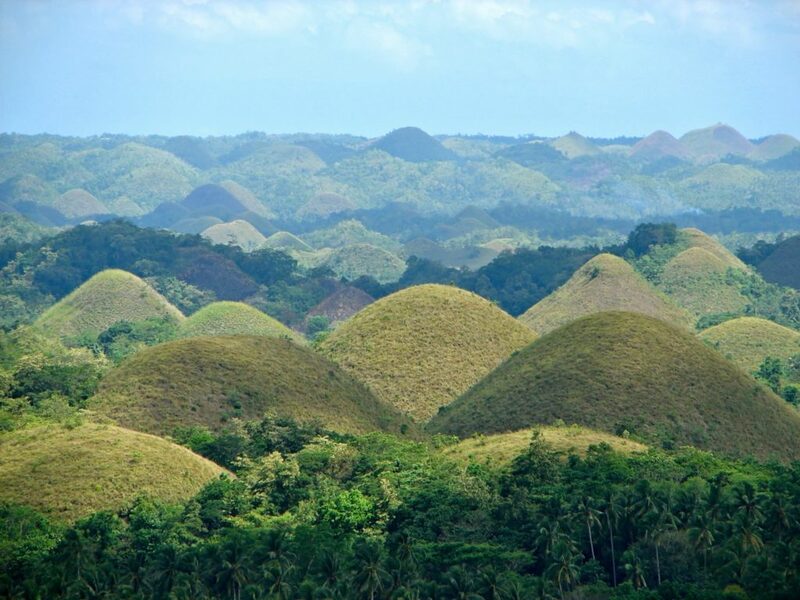 The Wikipedia says there are about 1200+ chocolate hills in Bohol, Island, Philippines. 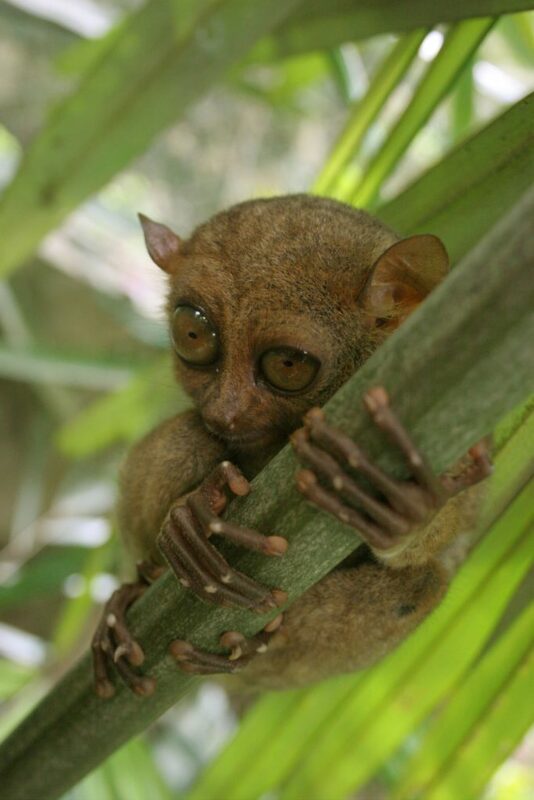 The tiny monkey called “Philippine Tarsier”. It actually classified as a Primate and is really small and to me, it is certainly not attractive. The length of the Bohol’s coastline is 260 km and thus offering numerous spots of beaches that are certainly not crowded. When you are in Bohol, you will surely want to visit its smaller islands and one of them is called “Panglao Island” that is famous among scuba divers. Generally, these tropical islands in Asia have one or more rivers that wind through some thick jungles comprising of bamboo forests and bushes that are hiding places to dangerous crocodiles and snakes. In Bohol Island, there is one such tropical river called Loboc River that typically flows through lush and thick vegetation. A boat ride on Loboc River is a great experience. See the green cover on both sides of the Loboc River. It resembles the River Quai to me. We have heard about the magnificent Mahogany wood but never seen it-eh? 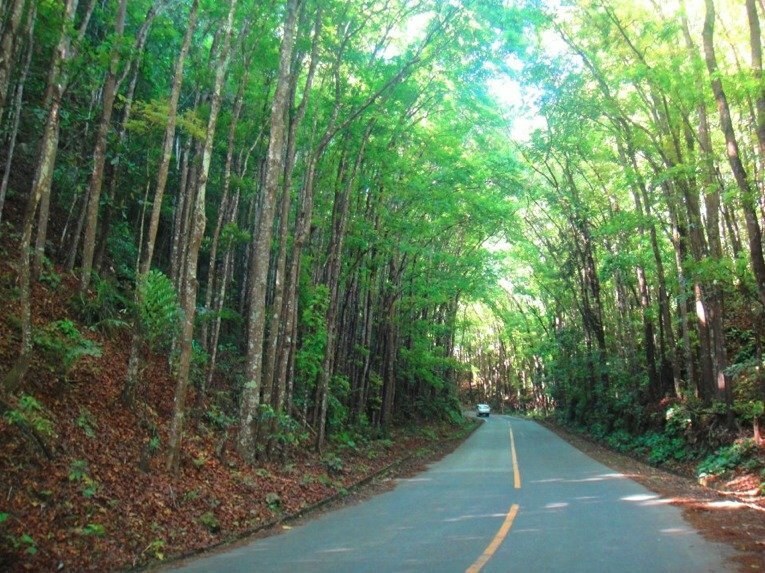 Here in Bohol Island, there is an entire forest comprising Mahogany trees! Similar to the terraced rice plantations in Vietnam and Cambodia, you can see the same rice fields on terraced (elevated) lands. They are always beautiful to watch. There are more places to see in Bohol that include waterfalls and caves. As an island nation, you can enjoy freshly caught fish and other seafood items. Don’t miss out eating in at least one of the roadside food stalls in Bohol. Hope you enjoyed the reading of “5 most beautiful islands”.